For years, Coconut Bliss Cookie Sandwiches made the rounds at small festivals where they were well received. But a couple of years ago, they finally made it to market. These are basically ice cream sandwiches, but with several dietary and nutritious twists. They use a whole grain formula for their cookies and use unrefined sweeteners in the cookie dough. 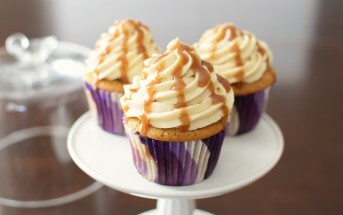 And oh yes, they are not only dairy-free, but vegan, gluten-free, soy-free, tree nut-free, and certified organic too. Thus far, we’ve spotted two varieties of these ice cream cookie sandwiches. If you have tried either one, don’t forget to leave your own rating and review below! 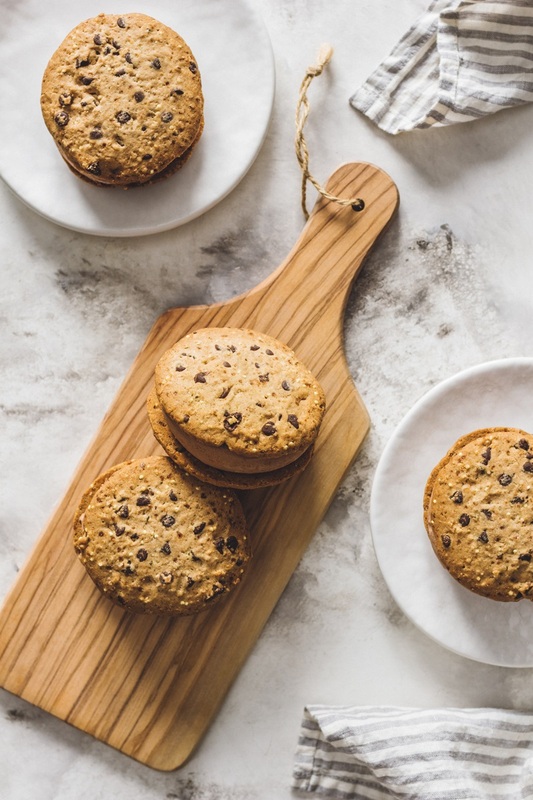 In this indulgent yet wholesome formula, classic Vanilla Coconut Bliss is sandwiched between two unique gluten-free and vegan chocolate chip cookies. 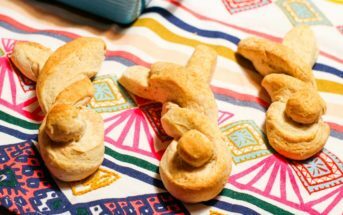 Their baker spikes the dough with hemp seeds, millet, and sprouted oat flour and adds a dash of warm spices. This is really the same cookie sandwich as their Vanilla variety, but with Dark Chocolate Coconut Bliss dairy-free ice cream in the middle instead. These Coconut Bliss products do not have a “may contain” warning of any kind, that we noted. 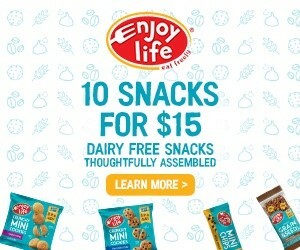 But their products are made in facilities that also process frozen desserts containing dairy, eggs, wheat, soy, peanuts, and other tree nuts. 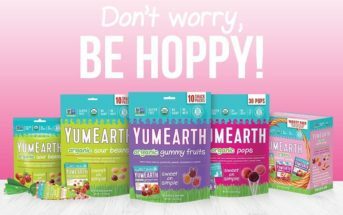 Nonetheless, they have strict allergen protocols which involve dedicated production days, scheduling to minimize cross-contamination, strict sanitation between batches, and allergen testing of every batch. 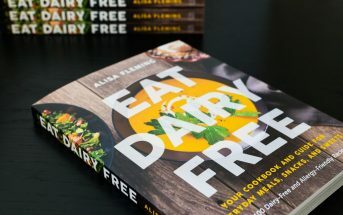 You can read more about their Allergen Control. 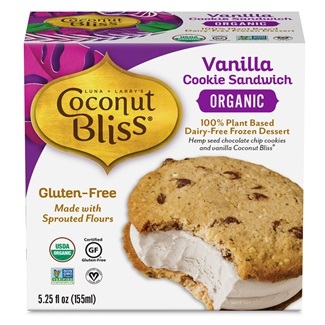 Availability: Coconut Bliss Cookie Sandwiches are sold at grocers like Sprouts and Whole Foods across the US. You can also purchase them direct from the company via their website below. 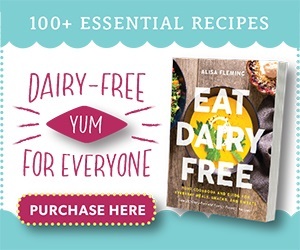 They ship frozen desserts direct to consumers nationwide. 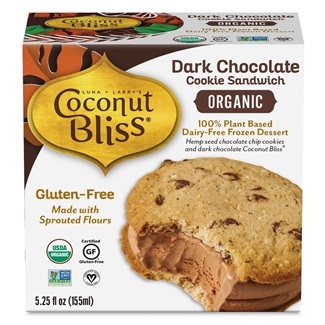 Certifications: Coconut Bliss Cookie Sandwiches are Certified Organic, Certified Gluten-Free, Certified Vegan, and Non-GMO Verified. For More Product Information: Visit the Coconut Bliss website at coconutbliss.com.